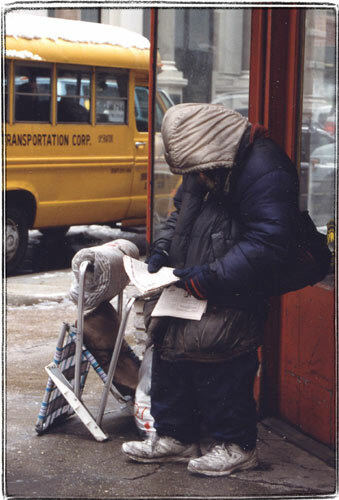 What’s that paper this homeless guy is concentrating on? An unpublished Great American Novel? A description of a hyperdrive? Mathematical equations that perfectly predict financial markets? We might never know. I was talking with about this. I can’t find the explanation for the origin of the expression “Great American Novel”. Newsgroup discussions on the topick quickly deteriorate into “Take off! You hoser!”. , maybe you know?